Being a dog owner means long walks in the park, throwing sticks, games of ‘tug-a-towel’ and wet-nosed kisses. Unfortunately, it also means dog hair on your couches and chairs. We’ve learned to live with it, after all, it’s part and parcel of owning a pet but from an aesthetics and hygiene point of view, it’s not particularly pleasant (especially for non-dog loving guests). Which is why one of the questions I get asked most frequently is how to get dog hair out of a couch. Until someone comes up with a color range of couches in ‘spaniel gold’ or ‘wire-haired terrier’ most pet owners want to know how to get dog hair out of a couch, effectively, without using any chemicals that could damage your furniture or be a health risk to the family, furry members included. 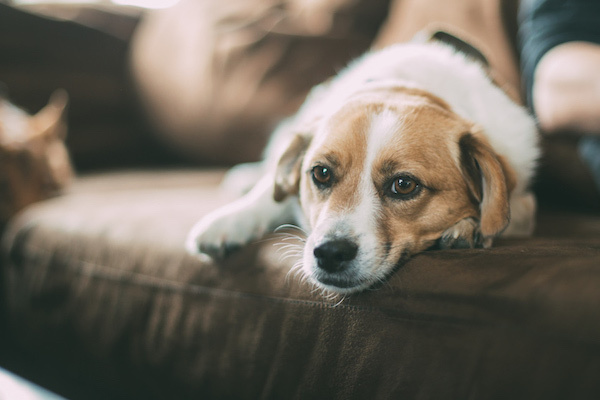 There are two possible options: keeping Fido off the couch (as if!) finding inexpensive and effective methods of preventing excess hair loss as well as removing it from your upholstery. While there are products specially made for the purpose of ‘defurring’ your couch there are also some things lying around your house that are just as good. I like to call these lifehacks that will literally change your life. And the condition of your couch. One of the easiest ways to remove pet hair is using your everyday kitchen sponge. Simply run it across the surface of the couch and the pet hair will stick to it. Just make sure it’s clean and dry, otherwise, you’ll be looking for articles on how to remove stains from your couch. Yes, you read it correctly. Packaging tape wrapped with the sticky side out is as good as a store bought lint roller, and more affordable if you’re cleaning your couch daily. A staple in practically every home, rubber gloves are a simple (tick), effective (tick) and inexpensive (and another tick) way of removing dog hair from a couch. All you do is put them on and gently rub the surface of the couch in a circular motion. Whether the glove is dry or slightly damp, the rubber and circular movement somehow pull the hair into clumps that can be thrown away. What’s great with this particular method is that it’s gentle enough to use on your suede or microfiber couches too. I’m no scientist so I’m not even going to try and explain what these mitts are made of but I do know they work well. Rubbing your mitt across the surface of your couch collects the pet hair and they’re gentle enough to use on suede or softer fabrics. 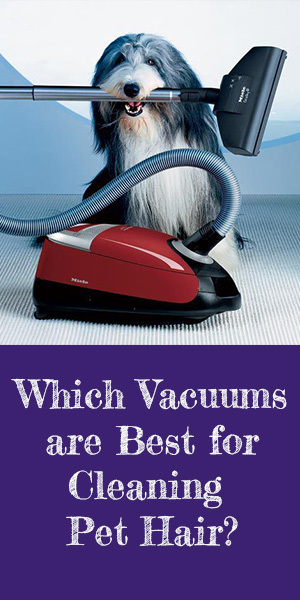 Using a vacuum with an upholstery tool is a tried and tested way of getting pet hair off the couch. Pet hair doesn’t get stuck on leather but you’ll find furballs between and underneath the cushions as well as in the corners. To get rid of them take off all the cushions and use the hose attachment of your vacuum. You can also use your mitts, packaging tape or rubber gloves. A great way to groom your pet and get rid of hair on the couch is to use a grooming and deshedding mitt. Dual-purposed, you pet your dog with the glove and you can get hair off the couch using the same petting motion. Other products, like the FURminator, the KONG ZoomGroom and the FUR-D Duo Fur Remover get to the root of the problem by removing excess hair from your pooch before it can shed on the furniture. Now you know how to get dog hair out of a couch but how about preventing the problem all together by keeping your pet off the furniture. Sound simpossible? It’s not really but it’s going to take some patience, perseverance and some serious “don’t even think about it” looks. But you’ll get there in the end. Here are a few options. A clever way to keep your dog off the couch is by creating a comfy spot specifically for them or if that’s proving a little difficult use a sheet or favorite blanket that confined to a particular part of the couch. This way you’re only cleaning the cover, as opposed to the entire couch. Another option is to have their bed as close to you as possible but on the floor. Normally dogs just want that companionship so if they feel like they’re still with you, they’ll more than likely settle in their own bed. Make sure they have their favorite fluffy toy, blanket or even one of your old t-shirts or jumpers. Just like you set boundaries for your children you can do the same for your dog. Find ways to keep them off the couch; if you’re out at work, use a baby gate to keep them away from the living area or use cardboard or plywood to put around the couch. It’s a bit of an eye-sore but after a while, your dog will be trained enough to know not make itself too comfy on the couch. Or not. I’ve noticed dog-people accept that furry couches come with owning pets, and as long as there are dogs there will be stray hairs. I like having a few handy tools around the house to help clean the couches but I’ve also chilled out quite a bit and have learned to not sweat the small stuff. Owning a dog is a privilege and the occasional errant dog hair really is ‘just one of those things’. If you have any other tips for hot to get dog hair out of a couch please share them with our readers in the comments below.